Get the Look of Miranda Kerr’s Étoile Isabel Marant “Bobby” Wedge Sneakers for Much Less! 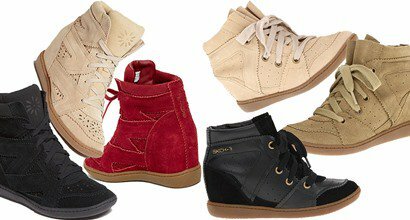 The Skechers Wedge Sneakers Are Back! Kim Kardashian‘s Skechers Shape Ups Super Bowl ad, the one she excitedly revealed on her blog last month, finally premiered yesterday….